Lawn care is not an exact science, of course, and such a mixture might not perform to your expectations. If these methods don’t prove successful and the weeds germinate and continue to return season after season, it’s time to consider a bigger solution. Sometimes it’s best to just bite the bullet and let the experts in. There are plenty of companies who offer safe and reliable weed control; it’s just a matter of finding the right one for your needs. Green Leaf lawn once to be the company you call whenever you need weed control or any other kind of lawn maintenance in the Tulsa area. Whatever option you choose, though, make sure to be quick about it. Weeds wait for no one, and if you put off their removal too long, they can become a severe eyesore. And what’s worse, they’ll offer lots of difficulty for those in your family or friends with plant allergies. Weeds are not just a pain in the garden; they’re sometimes a pain in the sinuses, too! So get cracking today. Nothing generates the magical feeling of the holiday season quite like decorations. From bright and beautiful Tulsa Holiday Lights, to interior and exterior reads, and even garlands hanging on your banisters, Green Leaf Lawn can provide you with everything you need for an elegant holiday design. Lighting services include decorating roof lines, landscape inground lighting, and daytime and specialty decor. From clients who purchased their lights through us, we maintain the lights for the first year. This includes replacing burnt out bulbs and making sure your lights are working properly throughout the holidays. For returning clients, we offer the service at a nominal fee. Most of our installations are completed with noninvasive, state-of-the-art hardware. In addition, accessories such as timers, extension cords and triple tap adapters are available to help complete your project in a professional manner. Remember, holiday lighting is a popular service, so be sure to make your arrangements early by calling the experts at Tulsa Holiday Lights at 918-640-6405. 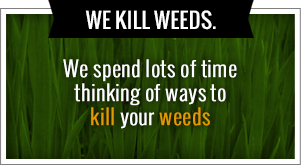 You can also visit us online at www.greenleafweedcontrol.com. 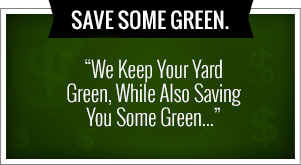 Green Leaf Lawn’s commercial and residential lawn maintenance programs are tailored to each customer’s individual needs. Our basic program includes weekly lawn cutting, trimming of all necessary areas, and cleanup of all grass clippings from walkways, driveways and patios. This service can be modified to the client specifications or desires. Our fertilizer and we control programs help combat heat, insects, dry weather, and constant mowing by giving your grass what it requires, a generous supply of proper nutrients. We offer our clients a program that consists of five applications including pre-emergent and fertilizer, broadleaf weed treatment, insect control and some of fertilizer, fall fertilizer, and winter fertilizer. Each application is priced according to the size of the clients lawn and other applications are available upon request. year-round by taking care of it. We can do all of the hard work for you while you just enjoy a beautifully lit home and an elegant landscape. It’s never been easier than it is now with expert help from Jamie Nix and Josh Mathias, the founders of Green Leaf. They are devoted to their craft and bringing the people of Tulsa expert care.